Do you know the muffin man… sorry I’ll start again. Do you know the “Infinite Monkey Cage”? Well, if not it’s a Radio 4 programme with Brian Cox (you know, the Professor of Particle Physics who’s a bit like God, he’s everywhere and everything and probably pretty much infinite too, I’m sure the BBC producers hope so as they seem to be on to a bit of a winner with Professor Brian). Well the cage of infinite monkeys is a self-confessed science-comedy-chat show (!) and episode 5 was about plants, yes it really was! 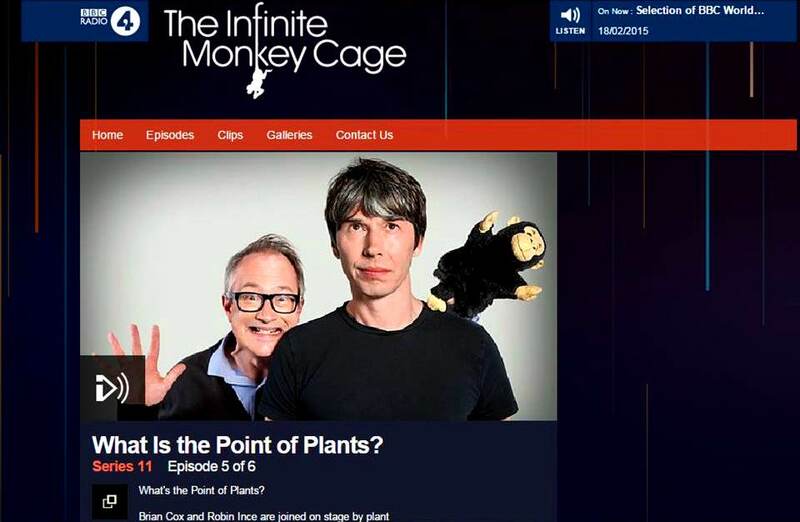 Well, to dig into this question the regular presenters Brian Cox and Robin Ince were joined by Oxford plant biologist Professor Jane Langdale, and Professor of Theoretical Physics at the University of Surrey, Jim Al-Khalili, oh and comedian and former horticulturalist (did you know that?) Ed Byrne. He’s funny, I like him! So, off they went asking just how would the evolution of life on Earth have differed without plants, and what would a plant less-planet look like today? And of course it wasn’t long before photosynthesis reared its ugly endosymbiotic head. Photosynthesis, that seemingly dull but essential (i.e. only!) component of the secondary school curriculum! But in reality as far from dull as can be, photosynthesis is one of the most important processes in our Universe, and Brian Cox should know for he is Mr Universe, or more accurately, Professor Universe, is he not? Well, it gets even more exciting, because it turns out that what’s really important in photosynthesis is not botany, not biology, not chemistry, not even biochemistry but, wait for it… yes, it’s physics! Well there were a lot of physicists on the programme so maybe that had something to do with it, but no, in truth, physics really does seem to rule photosynthesis. To get to the bottom of this it probably helps to be a Professor of Theoretical Physics or, failing that, a Professor of Particle Physics, but it seems there could be a quantum explanation for how this amazing photosynthesis reaction works. And what’s more (have I lost you? ), maybe just maybe, plants are in fact the perfect quantum computers! OK I have lost you, but, well you can listen to the whole podcast here and make your own mind up. Anyway, my excuse for bringing this up here is just to reflect on that first big question, what is the point of plants? We probably don’t need to invoke perfect quantum computers to see the point of plants. Just recently I read a translation of a blog post written a few years back (2011 I think) originally in French about a man called Clement, a Frenchman fighting in World War 1. The story tells of Clement who collected plants and flowers as he traversed the battlefields of eastern France, some like Lily of the Valley he tied in little bunches with string, and he pressed them, each one labelled not with the name of the flower but with the name of the battle field and the date. 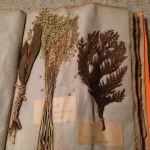 Plants and flowers collected by Clement amidst the terrors of war, but lovingly preserved in a makeshift herbarium and ultimately stored in a small regimental wooden box. 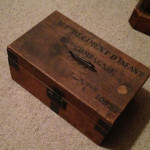 It was this little box which, on Clement’s death, passed to his son who kept it in the basement where it became hidden from view behind piles of books. Much later, when this man died it was his son, grandson of Clement, who rediscovered it, the grandson who had never met Clement. Except perhaps through this box. 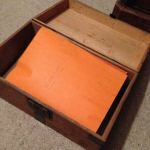 Except, as I imagine the grandson opening the box for the first time and discovering the herbarium and its contents, some very essence, some tangible part of Clement seems to be revealed. 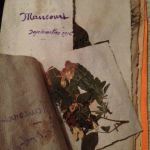 It seems evident in the faded papers, the tattered blooms and battle field names. The man who preferred flowers to guns. 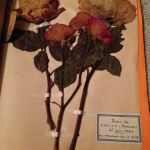 Perhaps most touching of all are the final sheets with roses collected not in war but in 1962 on a pilgrimage. A pilgrimage back to the battlefields now adorned with roses not corpses and a pilgrimage made by Clement and his son, the father of the grandson. Il a sauvé ces fleurs il y a exactement 100 ans. Et encore aujourd’hui, elles représentent la victoire de la vie contre la barbarie. (He saved these flowers exactly 100 years ago. And today, they still represent the victory of life against barbarism). What is the point of plants? The point is they matter, perfect quantum computer or faded flowers in a long lost box, oh how they matter. The images here are taken from the original post and you can read the original French version here and the English translation here. 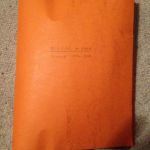 I read with interest your account of the French soldier who collected flowers. It reminds me strongly of this short film, made by my brother and his fellow film students, and with trenches partly dug by myself. I know the film was partly inspired by a lovely old boy we used to know who was a sniper in the first war. I suspect now that they must have heard of Clement and blended the two tales; I’ll ask my brother when I see him. Do try the film. I think you might enjoy it.